Happy Halloween! 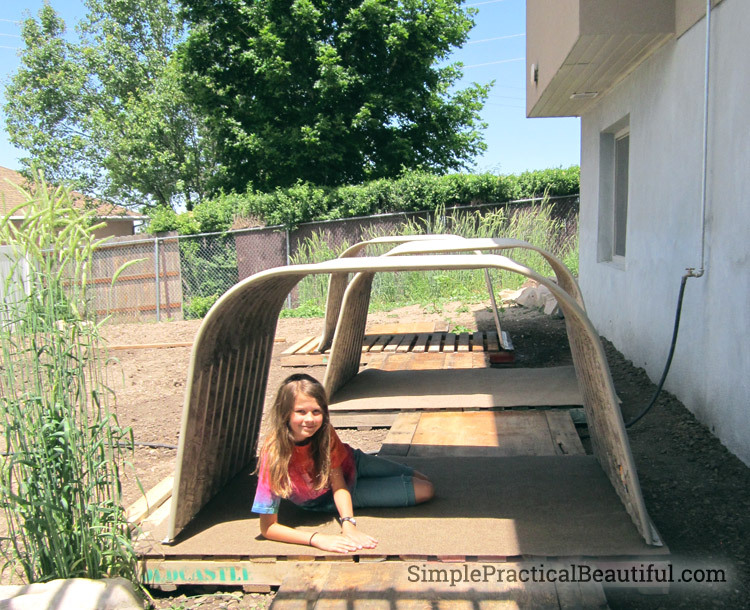 Today, I’m excited to share a very creative upcycling project: repurposing window wells into fun, little playhouses. When Pam leveled her backyard and added access to the backyard from the basement, her windows could finally look out onto the backyard, and she no longer needed window wells. 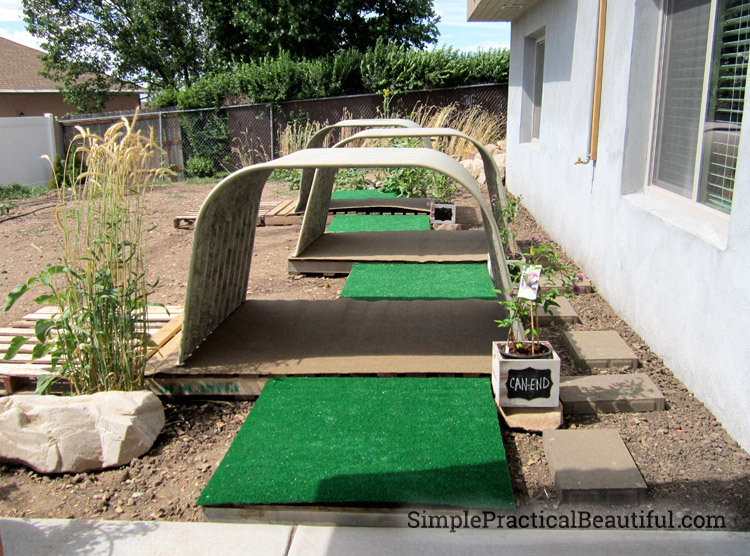 This increased her usable backyard, added light and accessibility to the basement, and, most importantly for today’s post, left her with spare window wells. 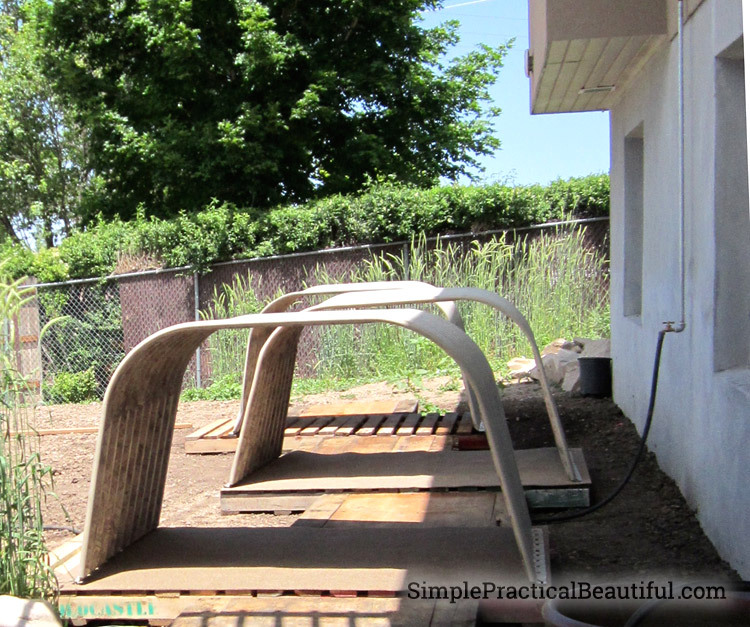 What do you do with spare window wells? Turn them into a little hobbit shire, of course! By adding a few small details, Pam created little hobbit holes, or playhouses, for her grandchildren. First, she used some wood pallets as the floor under the window wells, and a smaller pallet in front of each hobbit hole. 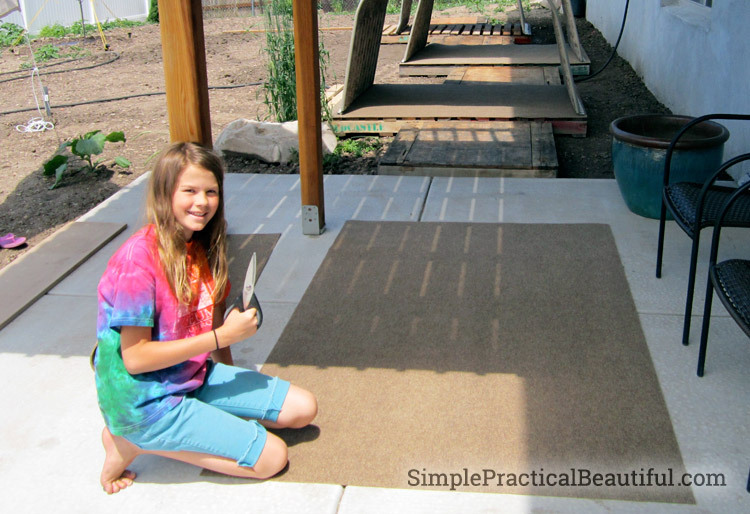 Then she cut enough outdoor fabric to cover the larger pallets. This made the floor of the playhouses comfortable enough for sitting and laying down when her grandkids play, read, or just hang out inside. 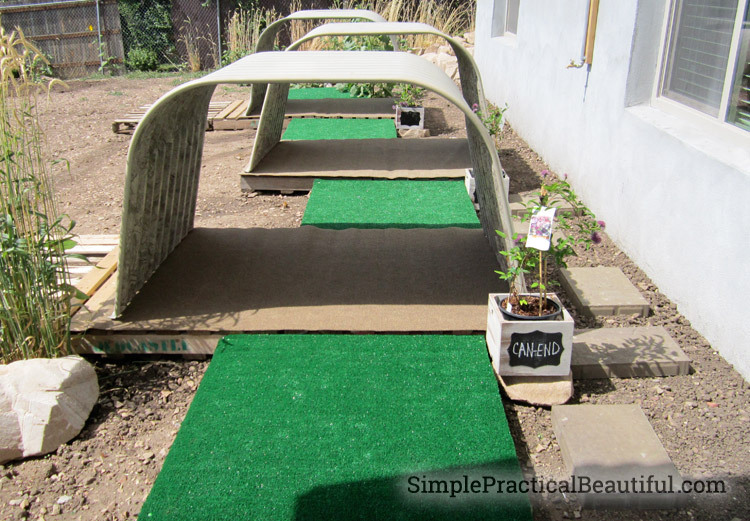 Next she added synthetic grass cloth on top of the smaller pallets, making a cute front yard to each hobbit hole. 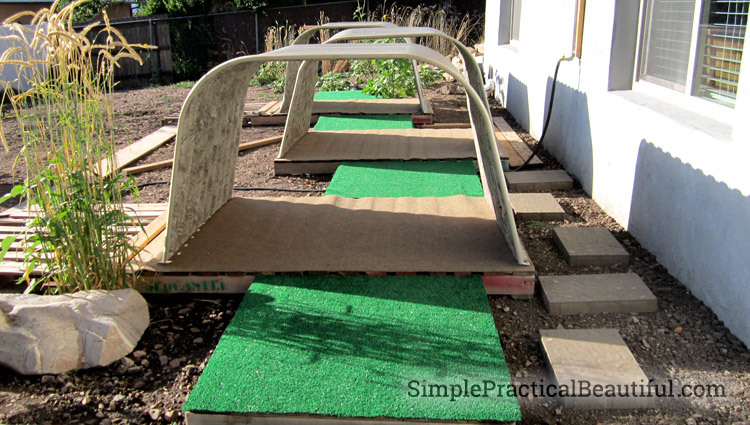 She wanted to cover the window wells in synthetic grass cloth too, to make them look buried under a hill, but that was too expensive. Finally, she added a cute planter to the front of each hobbit hole to finish them off. If you look closely, you can see that these hobbit holes are in “Can-End” (a play on Pam’s last name) instead of Bag End. Her grandchildren love to hang out in their own personal hobbit hole whenever they come to visit Grandma. 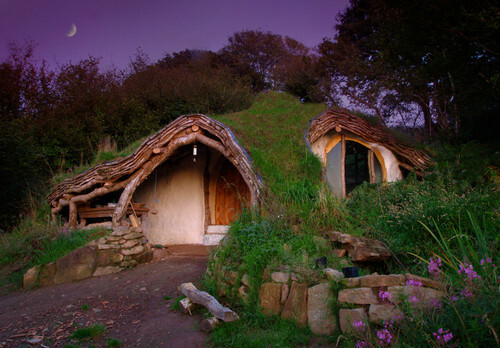 Also, as a bonus, I wanted to share this cool picture a of real hobbit home from Houzz.com (no, the hobbits aren’t real, but real people live in the house). Click on the picture to see more photos of the home. Can we do that to our yard??? 🙂 Maybe if we have some extra window wells one day. They are cute little play houses.